Packaging supplier and manufacturer, Oh My Packaging, We stock a huge range of protective products for domestic and commercial use. Janitorial protective Supplies and packaging supplies in the UK. Disposable Shoe Covers We are one of the leading manufacturers and suppliers of shoe covers. Disp.. 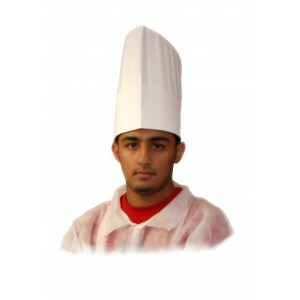 Disposable Chef Hats With comfort and a professional look, this white disposable chef hat is made.. Disposable Mob Caps (Net) Simple but effective hair covering, suitable for kitchen staff, surgery.. Disposable Mob Caps Net Simple but effective hair covering, suitable for kitchen staff, surgerys .. Disposable Blue Plastic Aprons Our disposable aprons are made from polythene. They are liquid res.. Disposable White Plastic Aprons Our disposable aprons are made from polythene. They are liquid re.. 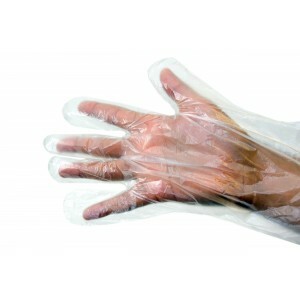 Disposable Plastic Oversleeves These disposable oversleeves protect arms from splashes, spills or.. Disposable Beard Nets Our Beard Net is made of spun-bonded polypropylene to offer durability.&nbs.. Medium Polythene Gloves These clear and smooth medium polythene gloves are manufactured form..
Small Clear Vinyl Gloves Powder Free These disposable powder free small clear vinyl gl..
Small Vinyl Gloves Powder Free Blue These disposable powder free small blue vinyl gloves offer&nb.. Medium Vinyl Gloves Blue These disposable powder free medium blue vinyl gloves offer extra p.. Medium Vinyl Gloves Powder Free Clear These disposable powder free medium clear vinyl gloves offe..
Large Vinyl Gloves Powder Free Blue These disposable powder free large blue vinyl gloves offer&nb..
Large Vinyl Gloves Powder Free Clear These disposable powder free large clear vinyl gloves offer&..